Composite doors help breathe new life into your Bournemouth & Southbourne home thanks to their superb energy and security values. Immaculate Home Improvements offers composite doors to suit all budgets and properties, as well as an attractive range of colours and finishes. At Immaculate Home Improvements, we offer a range of luxurious composite doors, designed to create a welcoming and beautiful entrance to your Southbourne home. Working with Truedor means that we can offer a wealth of styles, colours and so much more. We make sure your home benefits from the perfect entrance door to complement your existing architecture. Our composite doors are the ultimate choice for any residential doors in Southbourne, Bournemouth, and Dorset, as they offer exceptional security, insulation, as well as hard wearing beauty. With these doors in place, your home will not only look great, but will perform at its best too. Immaculate Home Improvements can help you with the finishing touch to your property upgrade with our incredible composite doors. 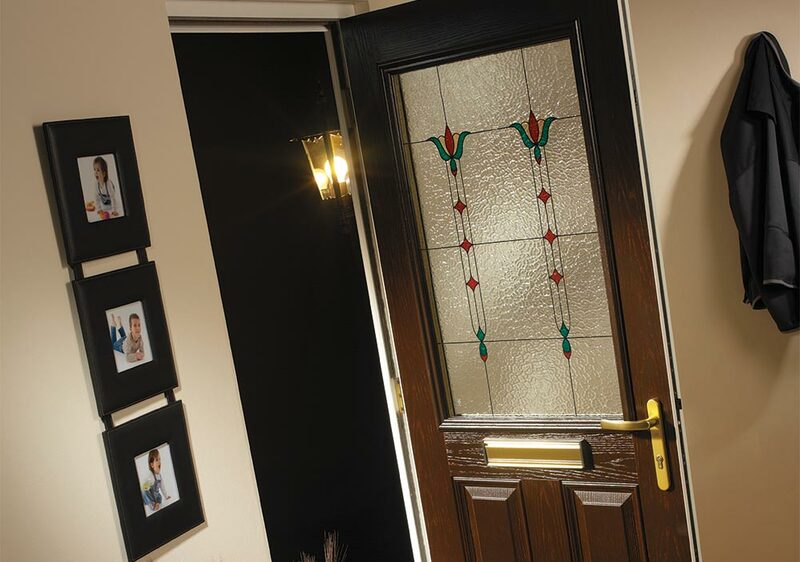 Our composite doors in Bournemouth and Christchurch are a stylish addition to any home. They are available in a number of designs, and we offer the Traditional Range, Cottage Range, Contemporary Range and Harmony Glass Range from Truedor to our Dorset customers. Every door can be tailored to reflect your unique tastes and personality. Our doors can come in any colour from the standard collection, the woodstain options, or the heritage range of colour finishes. We are also able to offer bespoke colours from the RAL palette giving you a vast selection to choose from. The natural design of composite doors means that they offer all the beauty and charm of timber doors yet they benefit from innovative and cutting-edge technology. They provide the perfect, low maintenance alternative to wood while still keeping the style you love. Our composite doors can be finished off with a wide range of options. 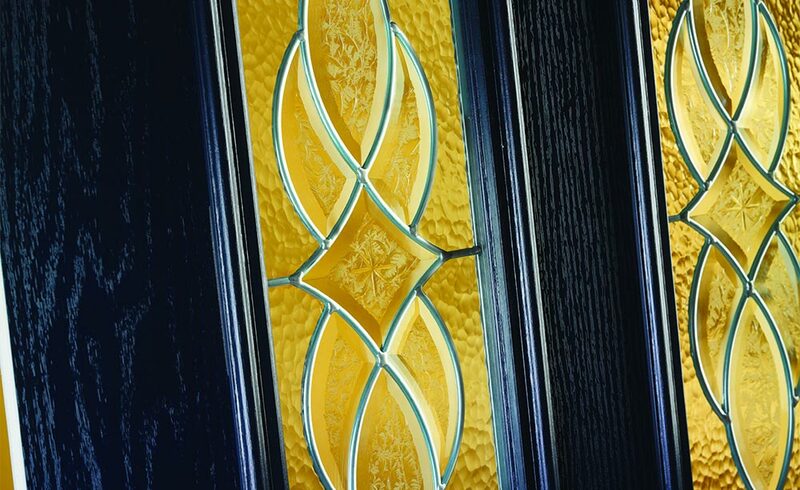 Choose from decorative glass or patterned glass, as well as a beautiful collection of door furniture to complete the look. Whatever style you want for your home, it is possible with the extensive variety of composite doors we offer to homeowners in and around Bournemouth. The Truedor composite front door is crafted from a solid core with a glass reinforced plastic overlay. This ensures they are highly robust and almost impossible to scratch or dent. These doors are designed to look amazing for many years to come and, with minimal maintenance, they will always look as fresh as the day they were first installed. One of the many benefits of installing composite doors as an alternative to traditional timber is that the composite design offers up to six times more insulation than a wooden door. This helps you to maintain a comfortable home, limiting heat loss and blocking out cold air. It is also ideal for minimising intrusive street noise, giving you a quieter and more relaxing home. Our front doors also achieve absolute excellence when to comes to security. All of our composite doors reach and exceed Secured by Design status – police approved security for UK homes. The tough and sturdy profile is enhanced by the unique Trudor locking system which features a multi-point lock and a specially designed dog bolt system which will ensure your home is protected against any unwanted visitors. Immaculate Home Improvements only work with top of the range double glazing products, and our composite doors are precision engineered to offer an outstanding performance coupled with incomparable aesthetics. Immaculate Home Improvements specialise in property upgrades, including a beautiful range of double glazed external doors. Our expert teams have many years of experience in the industry and they are passionate about perfection and customer satisfaction. They will install your new composite door in no time at all, creating as little disruption to your daily routine as possible whilst taking the utmost care of your property. 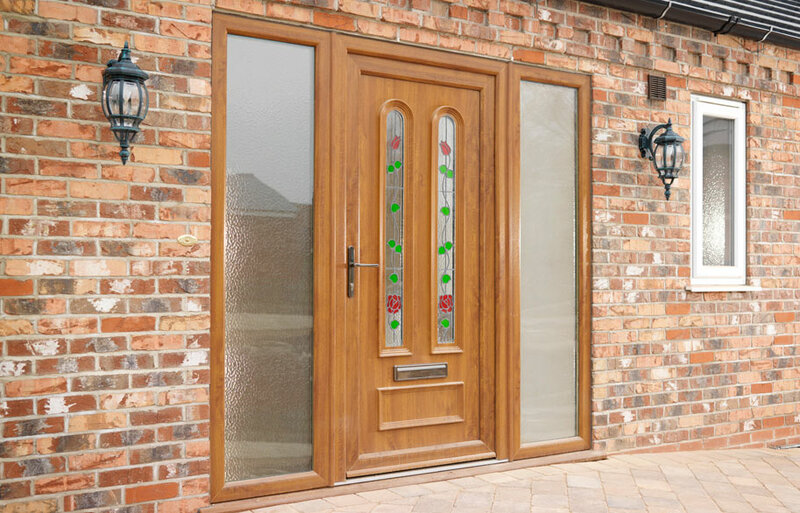 Before we leave, we want to know that you are completely satisfied with your newly installed composite doors. Our commitment is to provide Bournemouth, Southbourne and Christchurch homeowners with quality double glazing installations that they can trust. Our reputation for our excellent customer service is growing and you can see just how pleased our customers have been by reading our reviews on Checkatrade. Our team will be on hand from the moment you get in touch to ensure your home improvements meet your every expectation. At Immaculate Home Improvements, we offer luxury composite doors to our customers in Southbourne, Bournemouth, Christchurch and the surrounding areas, which combine the qualities of performance, style and value in one package. Our composite doors prices are competitive and, combined with our excellent service, you are guaranteed to leave a satisfied customer. We have an online door designer where you can discover the options available to create your entrance doors and bespoke composite doors, as well as receive a free quote tailored to your specifications. We have a friendly team of experts to help with any questions you may have, so please do feel free to contact us and start your immaculate home improvements today. Immaculate Home Improvements supply and fit our composite front doors in Southbourne, Bournemouth, Christchurch, New Forest, Sandbanks, Poole, Lymington, Boscombe, Wimborne, Corfe Mullen and surrounding Dorset towns.